AIUSA Group 48 will once again host its annual Write for Rights and holiday potluck in December. Write for Rights is Amnesty International’s annual global letter writing marathon that generate millions of messages for people whose basic human rights are under attack. Amnesty International sent delegations to the Standing Rock Sioux Reservation as human rights observers to monitor the response of police to those opposing the Dakota Access Pipeline. Observers witnessed police using excessive force against peaceful human rights defenders, confronting men, women and children. Under international human rights standards, police should seek to de-escalate tensions and facilitate – not hinder – the right to peaceful protest. Police have instead treated the situation as a battlefield, with military grade armored vehicles, machine guns, surveillance and riot gear. In the wake of the failed coup in Turkey, the Turkish government has unleashed a dangerous crackdown. From purging the country’s academic leaders to shutting down news outlets, hard-won human rights victories are under serious attack. At least 260 people were killed and more than 2,000 injured amid the failed coup attempt, according to government accounts. Many news websites have been blocked, arrest warrants have been issued for journalists (some of whom are now in detention) and tens of thousands of people have been suspended or removed from their jobs – including police, judges, prosecutors and others. Officials at the California Department of Corrections and Rehabilitation (CDCR) are doing everything they can to jumpstart executions after over a decade without them — and with the largest death row in the country, they could fast track dozens of cases for execution. In order to resume executions, California needs to pass a new lethal injection procedure. That’s where you come in: by state law, new procedures must go through a Public Comment Period. That means anyone in the world, in any language, can send in a comment. The CDCR is required to READ and RESPOND to every substantive comment. Your action can delay California’s CDCR from using the death penalty and give time to end the death penalty there once and for all. 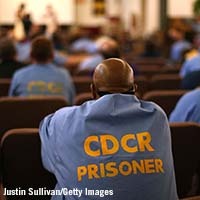 Click here to let CDCR know there is NO humane way to kill a human being. Take action NOW! 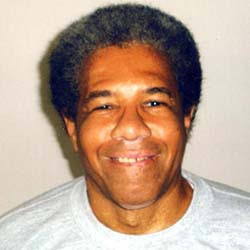 Today, Louisiana prisoner Albert Woodfox walked free, more than 40 years after he was first put into solitary confinement. He was the United States’ longest serving prisoner held in isolation. Nearly every day for more than half of his life, Albert Woodfox woke up in a cell the size of a parking space, surrounded by concrete and steel. Tomorrow morning, for the first time in more than four decades, he will be able to walk outside and look up into the sky.